Watin Transport & Thailand Tour Service. Welcome to our site! We are a fully registered and fully established Thai and English Private Hire Car/Private Minibus & Taxi Company Based in Pattaya in Thailand. We provide door-door Bangkok & Pattaya Airport transfers, city tours, shopping tours, business meeting transfers, up-country tours, trips and tours to all the major tourist attractions in and around Thailand. We pride ourseves on our excellent safety record, customer service & our customer care. Book with us from the UK & Europe and from around the world before you fly! Here are just a few ideas for days out from the endless list of tourist attractions in Thailand. If you prefer to have a quite holiday then why not visit Isaan, the northeastern part of Thailand, here you will see the true Thailand in all it's rural and natural beauty!! Prefer to just relaxing holiday, there are many gorgeous and Un-spolit beaches of powder white beaches with the warm crystal clear sea lapping gently on the shore - truly paradise! 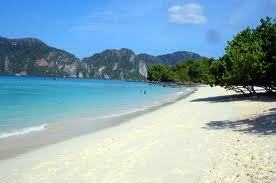 Can't decide what to visit first - let us sort that out for you - we can provide a custom made tour of Thailand for you. We will even book you a hotel or condo/apartment to rent during your stay. Contact us for more details - you'll be glad you did!